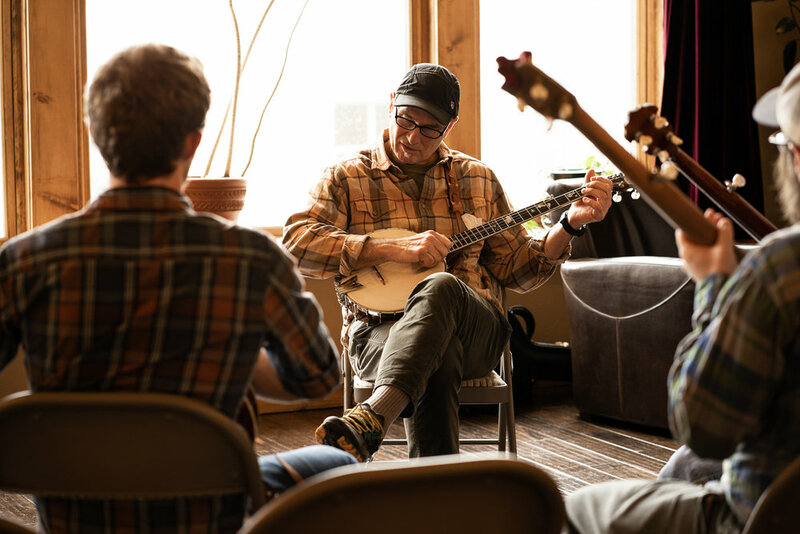 Join us April 25-27 for the 2019 Missoula Old Time Social! 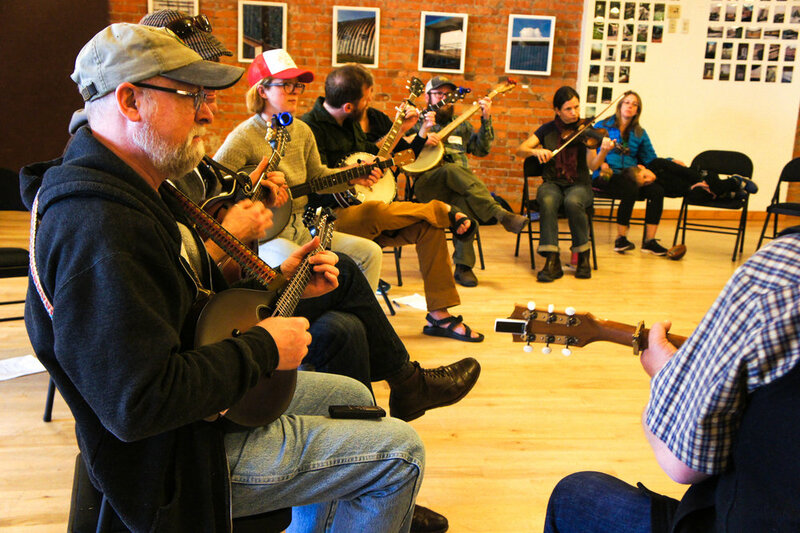 The Missoula Old Time Social is a three-day gathering celebrating traditional, old time music and dance. 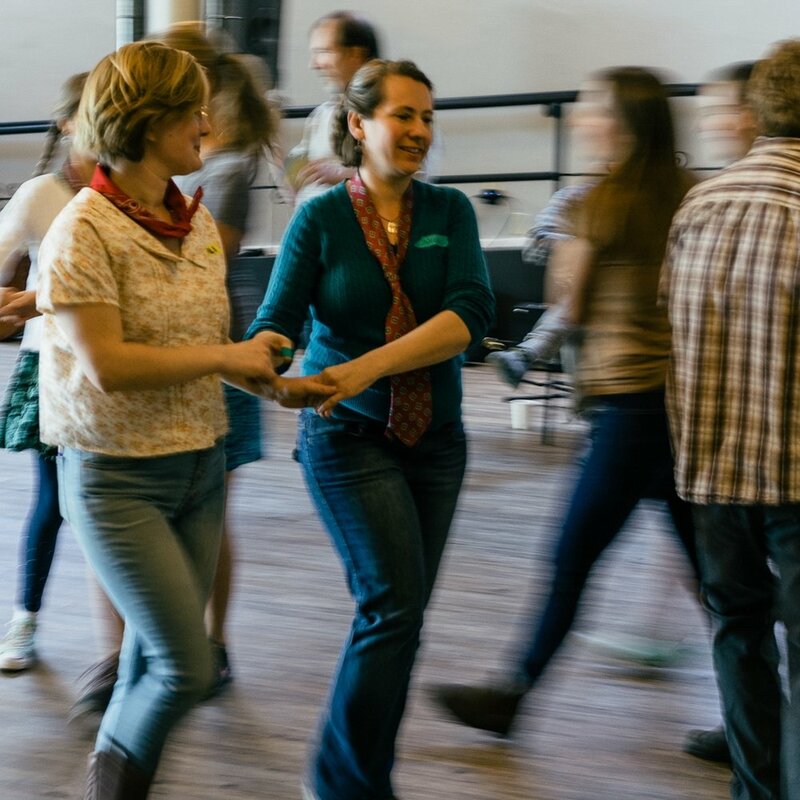 The Social features old time jams, concerts, workshops, a community square dance, and a grand cakewalk, all with the purpose of bringing people together in real time, face-to-face, to share in the experience of creating, enjoying, and dancing to homemade music. 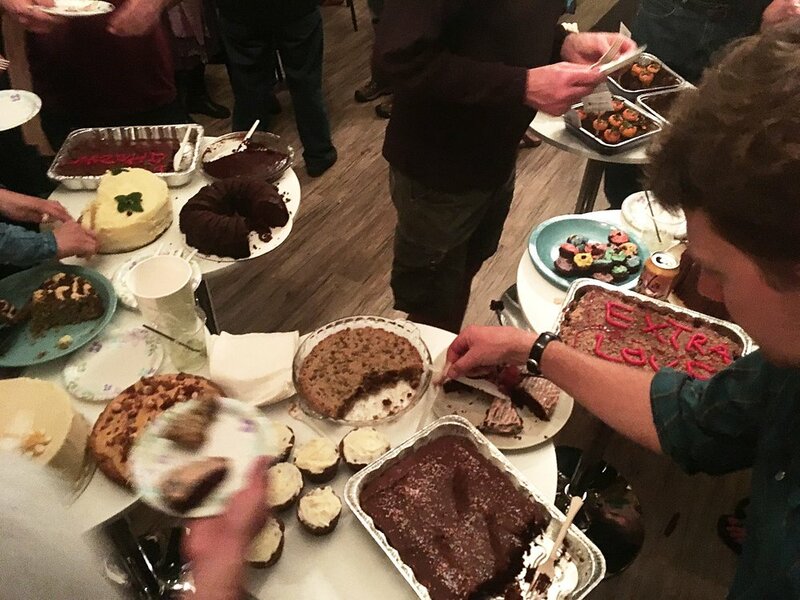 All are encouraged to participate—pick up an instrument, learn to clog, try your hand at square dancing, join in on a cakewalk. Likewise, this event is for everyone, beginners and experts alike. The Old Time Social is all about having a good time, and, well, it’s a social. We hope you’ll join in on the fun. We’re pleased to announce our visiting guest artists 2019, Charmaine Slaven and Charlie Beck of Squirrel Butter. Squirrel Butter, husband and wife duo of Charlie Beck & Charmaine Slaven, started performing together after meeting at the Portland Old Time Music Gathering in 2005. 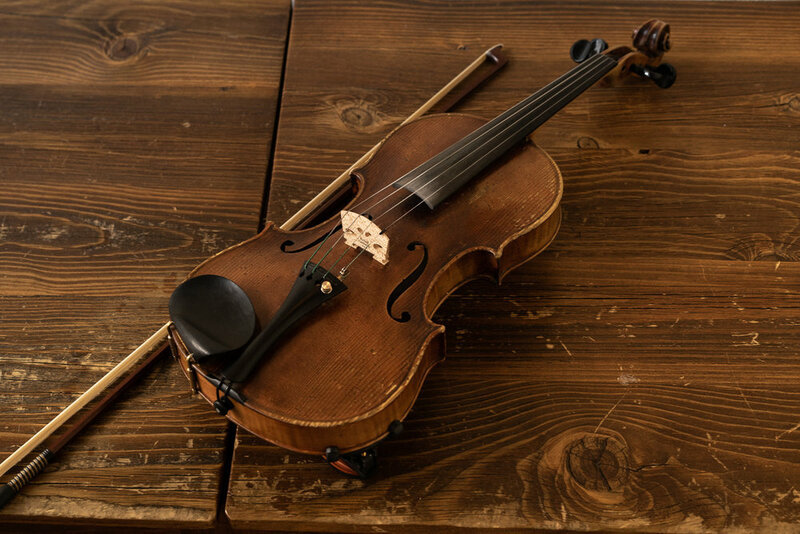 Sharing a deep love of traditional music, they perform American roots music of old-time, bluegrass, blues, and country. They add their touch to these traditions and thread traditional influences into their original compositions. 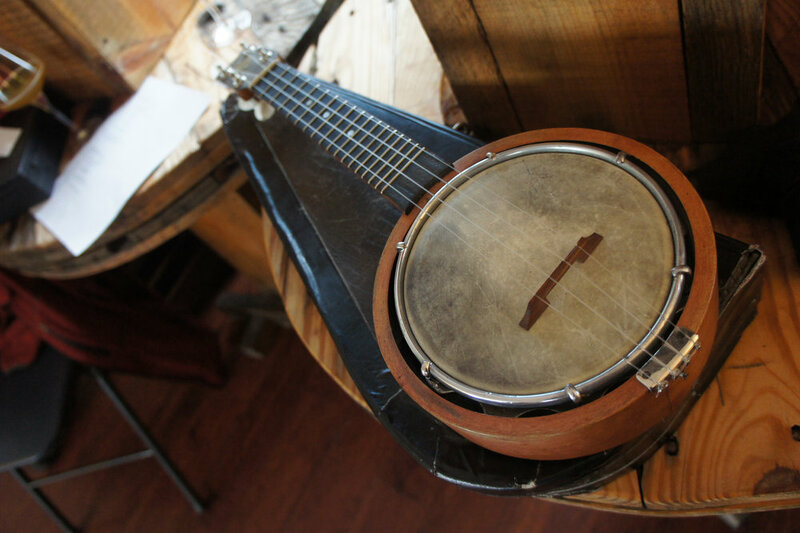 Multi-instrumentalists, they play banjo, guitar, fiddle, steel guitar, step-dance, and sing harmonies. They're both members of the venerable string band, The Tallboys, and are both instigators of the country dance band, The Lucky Shots. 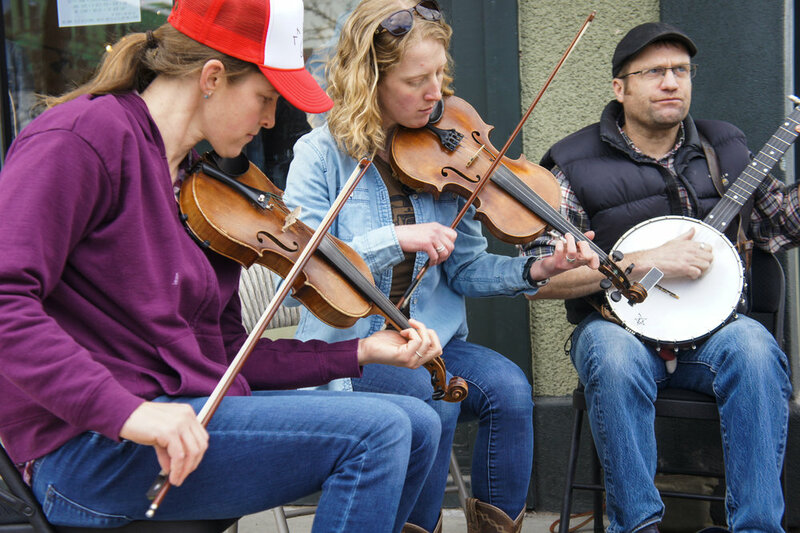 For over the last dozen years, they have contributed to the of the music and dance communities in the PNW, and their love of the music and people keeps growing. Charmaine is also a Bitterroot native, and is excited to participate in an event back home, and with their baby girl, Hazel, in tow!